Reggio Emilia is an approach to early childhood education which has gained popularity throughout the western world. Reggio Emilia is an approach to early childhood education which originated in Italy after World War II. While not as widely known as the Montessori and Waldorf methods, Reggio Emilia has attracted a small but extremely loyal following in the United States. You will not find many schools styled Reggio Emilia as you will with Montessori or Waldorf schools, for instance. What you will find are schools which draw heavily on Reggio Emilia ideas and philosophy. They often refer to themselves as Reggio Emilia-inspired schools. This short video gives us an overview of the Reggio Emilia approach. The foundation of the Reggio Emilia approach can be found in the movement's principles. What then is Reggio Emilia? Here are five facts about it. There's much more to Reggio Emilia, of course, but this will give you an idea of what it is all about. 1. 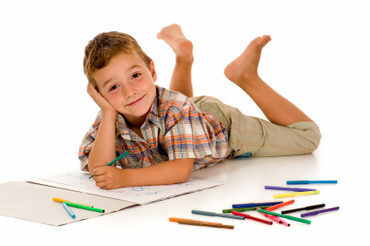 It is strictly an early childhood education approach. Reggio Emilia values "the potential of all children to think, learn, and construct knowledge." Like Montessori Reggio Emilia is a progressive, child-centered approach to education. The idea is that the child must be free to discover and to learn for himself. Reggio Emilia does not go any further than the early childhood years. 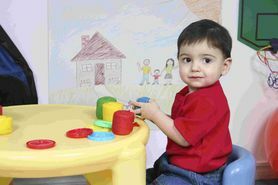 It focuses on toddlers and preschool children. 2. It is not a formal, doctrinaire approach. Unlike the Waldorf and Montessori schools there is no formal teacher training, credentialing and authorization process for Reggio Emilia. The idea is that teachers and parents take the concepts learned by observation and interaction with Reggio Emilia and incorporate them into their classrooms. There is no such thing as a Reggio school. The only Reggio schools are those in the municipality of Reggio Emilia. All other schools which embrace the Reggio philosophy are considered to be "Reggio inspired". 3. It grew out of the aftermath of World War II. Much of Italy lay in ruins after World War II. In Reggio Emilia a young teacher by the name of Loris Malaguzzi developed an approach which valued the ability of children to learn spontaneously. The relationship of child, parent and teacher is integral to Malaguzzi approach. The Reggio and Steiner (Waldorf) schools both arose as the result of the aftermath of armed conflict and the need to rebuild society. 4. 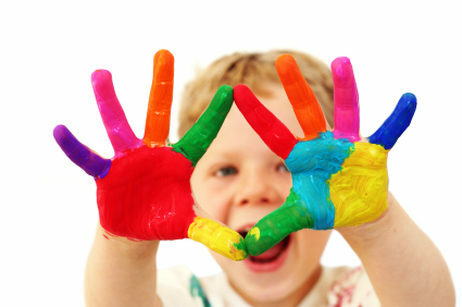 Reggio Children is the organization which promotes the Reggio approach. Reggio Children is the formal entity which was founded in 1994. It is headquartered in the municipality of Reggio Emilia in Italy. The ownership is split with 51% of the shares held by the municipality. It offers training materials and courses designed to promote the Reggio approach throughout Italy and the world. It is affiliated with and draws support from dozens of national organizations in countries throughout the world. 5. It is an international movement. Reggio started in a town in Italy in the 1940s. It has now spread worldwide. In North American Reggio is promoted and supported by the North American Reggio Emilia Alliance. It sponsors The Wonder of Learning, a traveling exhibit which explains the Reggio approach. Reggio Emilia has spread to thirty-four countries where it inspires fifty thousand children and fifteen thousand teachers. Here is how several schools describe the infusion of Reggio Emilia principles into their early childhood programs. 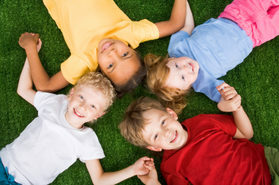 "Children learn through creating deep and lasting relationships with the world around them. As they relate to one another, they develop essential social skills such as an understanding of inclusivity and conflict resolution. The children's learning grows from their engagement with the rich and varied materials offered in their classrooms. In the Early Schools, students, teachers, and families collaborate to set the stage for children to become seekers of knowledge all their lives." 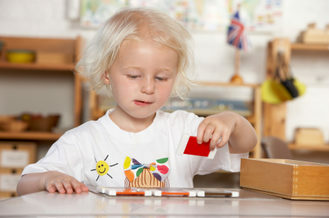 "At La Scuola we will offer your child the chance to be immersed in the Italian language and culture; we will teach them using the Reggio Emilia-inspired approach in small classes to optimize their learning; and our curriculum is inquiry based and is inspired by the International Baccalaureate Primary Years Program (IB-PYP). La Scuola is a candidate school* for the Primary Years Programme and our school is pursuing authorization as an IB World School. These are schools that share a common philosophy—a commitment to high quality, challenging, international education that La Scuola believes is important for our students. This world-class education model is grounded in creative and critical thinking, and is relevant to the global challenges of the 21st century." Melrose Avenue Preschool is an example of the blended approach to early childhood education which many schools adopt. In this case Reggio Emilia blends with Waldorf. "Melrose Avenue Preschool strives to bring a blended educational environment to the community of young children. Our love of children is woven with the philosophies of the Reggio Emilia Approach and Waldorf Education. Our vision is to create just the right combination for a developmentally appropriate early childhood experience." "We believe children learn best when they are interested and engaged in their learning. That true learning happens not through our teaching but through creation of a space, environment, and opportunity to learn. 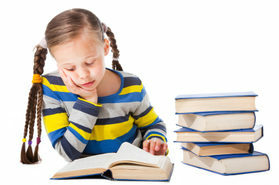 We know children's brains are designed to learn and develop. We support children and families to see the children's learning and development through their play. Our children learn to communicate through our Reggio inspiration of their 100 languages including art, drama, language, writing, and baby sign. Our role is to support them as they explore the world not to limit their learning by exclusively teaching to our viewpoint or understanding." Here is a list of Reggio Emilia-inspired schools. 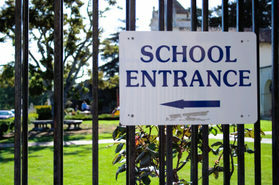 Hopefully, one of these fine schools will be located near you.